Pleshette Robertson is the CEO and Founder of Sacculturalhub.com and the Chief Editor of THE HUB Magazine. The website (launched in March 2002) and magazine (published in February 2006) are leading sources of Black urban media that celebrate the urban lifestyle of African-Americans in the capital region and throughout California serving as the information hub for black-oriented movies, concerts, theatrical performances, art exhibitions, sporting events, festivals and black-owned businesses and entrepreneurs. She is also the owner of PR & Associates Business Resources Resources (AKA Sacculturalhub.com Media Company) which is an advertisement and public promotions agency specializing in providing multi-media advertising, social media marketing campaigns, e-blast ad/website production and consultation to new business and startup organizations. She also serves as the Executive Director for the Sac Cultural Hub Media Foundation that educates, empowers, and train young adults and women of color in underserved communities. Several programs under the Sac Cultural Hub Media Foundation include: Exceptional Women of Color Conference; Hub Choice Awards Show; Black Physicians Forum (BPF); BPF Medical Student Scholarship Program; Young Exceptional Women of Color (Y-EWOC) Scholarship Competition, and the Young/Youth Women’s Summit (YWS). For 3 years, Pleshette served as a Covered California Enrollment Counselor and Outreach Educator. 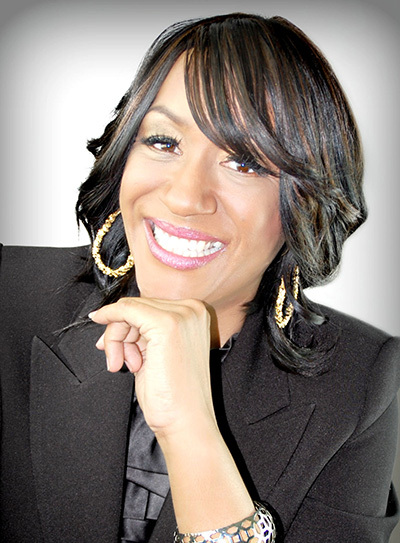 Pleshette has received numerous awards that include: MLK Unsung Hero Award Recipient of the 9th Assembly District presented by the California Legislative Black Caucus in January 2018, Entrepreneur of The Year presented by Calvary Christian Center’s Genesis School of Business & Entrepreneurship in December 2017, Martin Luther King Jr. Difference Maker Award for Service and Advocacy in January 2016, NAWBO OWL Wise Woman (a.k.a. Business Woman of the Year) in October 2015; BWOPA-PAC Ella Hill Hutch Award in November 2013, UC Davis Chancellor’s Achievement Awards For Diversity and Community in the Community Award category in February 2013; Business Award from the National Coalition of 100 Black Women, Sacramento Chapter in November 2009; “Women of Excellence” from the Sacramento Kappa Psi Zeta Chapter of Zeta Phi Beta Sorority in March 2008. Pleshette was featured in the August 2007 issue on her personal style and noteworthy achievements in the Sacramento magazine. She holds a B.A. in Business Administration from San Jose State University. Pleshette loves and celebrates her extended family while she is the proud mother of three daughters and also has three grandsons. HER BACKGROUND. Pleshette relocated from the Bay Area to Sacramento in March 2001 where she began working for UC Davis Medical Center in April 2001. She resigned from her position as a Contract Administrator in the Facilities Design and Construction Department in March 2007 to work full-time in her own business....Sacculturalhub.com. Pleshette holds a B.S. degree in Business Administration from San Jose State University. While employed with Stanford University for 13 years (beginning her administrative career at the early age of 19 years old), Pleshette received gratification from helping others to get the resources and information they needed within the community. During her employment in the School of Medicine, she redesigned the medical student monthly newsletter and was the managing editor for 5 years. Pleshette also served on the committee to redesign the School of Medicine annual Catalog after being the coordinating editor for 3 years. Outside of work she found passion in advising relatives, co-workers, friends and families on how to achieve their personal, financial, and career goals. Through developing Sacculturalhub.com, Pleshette receives an ultimate wealth of gratitude, strength, and endurance for succeeding at exploiting the talent, skills, and creativity in African Americans of Northern California. Pleshette is the mother of 3 beautiful daughters: Shanaya Nalls who is 26 years old, Stephanie Nalls who is 24 years old, and Starr Nalls who is 20 years old. Pleshette also has 3 grandsons. While pursuing her college career and raising her three daughters as a single parent, Pleshette received several scholarships: Women in Business Scholarship from the Mt. View Chamber of Commerce (October 2003), Stanford Hospital Auxiliary Scholarship (1994 and 1997) and the Changing Times Chapter American Business Women's Association (May 1997). Pleshette was also very much involved in community service while living in the Bay Area. In 1998 she organized an adult computer training program in Sunnyvale where she taught residents in low-income apartments how to use Microsoft Word. She served as the secretary and events coordinator in the St. John Children's Department in East Palo Alto from 1994 to 1998. Pleshette also created a nonprofit organization, Community Connections to Success, where she recruited volunteers to coordinate workshops to provide job development and college preparation programs for minority and underprivileged youth in 1995. ADVERTISEMENT OPPORTUNITIES: Contact us to receive a full media kit on how to become a Hub "Business" Partner and let us assist you or your organization with exposing your events, products, and services to the emerging consumer base of African American families in the Great Sacramento Valley Region and beyond. MORE INFO: If you are interested in advertisement on the Sacculturalhub.com website or placing advertisement in the THE HUB Magazine publication, e-mail contact@sacculturalhub.com or call (916) 234-3589.